Editor’s note: the following article by Michael Knippa appears in the Fall 2015 issue of Concordia Journal. We publish it here to extend the conversation about the vital issues he engages. 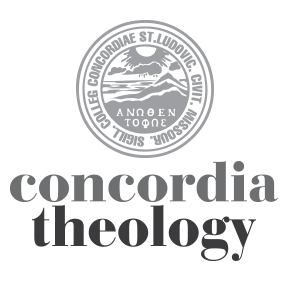 Michael Knippa is a PhD candidate at Concordia Seminary and teaches theology at Lutheran High School South in St. Louis, Missouri. He studies systematic theology with a primary research focus on the interaction between politics and theology. Today some voices in the United States are calling for American Christians to make a similar shift in their thinking. In addition to movies and books that are solely based upon the premise of the persecution of Christians in the United States, several politicians and political commentators are suggesting that the church in America is being persecuted. Very recently the decision in the Supreme Court Case Obergefell v. Hodges led several prominent Christian leaders to predict that persecution will soon come upon the church in America en masse. Other Christian leaders are not just warning of, but actually stating privately and publicly, that the church in the United States is being persecuted. All of this forces us to consider this contentious, but deeply important, question: is the church in the United States being persecuted? Writing in 1984, Father Richard John Neuhaus remarked, “What has happened in recent decades is a redefinition of what constitutes ‘the real world.’” Certainly many of the trends that Neuhaus observed in 1984 have continued and even, accelerated in recent years. The “real world” of America’s “public square” in 2015 is a vastly different arena than it was in the 1950s, the 1980s, or even the early 2000s. However, this paper will argue that Neuhaus’s assertion that “lions of gory mane are not in prospect” for the Christian church in the United States remains a valid assessment of our contemporary situation. The “lions of gory mane” (a line Neuhaus takes from a hymn) and the Roman amphitheaters of antiquity that housed them, are a long way from Washington, DC. Of course, the intention of this argument is not to deny the experience of persecution that some Christians in American do in fact endure. Rather, our argument is that the Christian church must carefully discern whether these individual experiences are normative for the entire church, and accordingly, whether or not the church in the United States should publically claim that it is enduring persecution. Certain tools will be proposed to aid in this process of discernment and a case will be made that endorses the continued validity of Neuhaus’s assessment. Finally, an alternative understanding of the challenges currently faced by the church in America, namely the loss of predominance, will be briefly proposed. Accounts of martyrdom and stories of persecution have received wide attention and circulation throughout the history of the church. From the Te Deum, to the various individual and collected Acts of the Martyrs, to the modern day organization The Voice of the Martyrs, the Christian tradition has and continues to remember those who have suffered and those who have been killed for the faith. Most people have an intuitive grasp of what persecution is: the unjust application of coercive violence against a person or group of people because of their beliefs. However, Christian theology has never settled on a strict, universal definition of what persecution is and what it is not. That is to say, the meaning of persecution has largely been assumed rather than thoroughly, and finally, articulated. This can be seen in Epitome of Article X of the Formula of Concord, which turns upon the issue of adiaphora “in a time of persecution” but does not define what exactly constitutes “a time of persecution.” The Solid Declaration of the Formula is more explicit in explaining that a time of persecution is “particularly when the opponents are striving either through violence and coercion or through craft and deceit to suppress pure teaching and subtly to slip their false teachings back into our churches.” It is important to recognize, though, that even this articulation of persecution is tailored to the circumstance that Article X is considering—namely the danger posed to the gospel in Germany by the re-introduction of certain medieval rites under the Augsburg and Leipzig Interims after the defeat of the Smalcald League by the Catholic Emperor Charles V. It does not have in view individual Christians who might experience persecution in the public or private spheres, but rather is concerned with the institution of the church, its liturgical practice, and the liturgical calendar. It, like almost all definitions of persecution, is incomplete. The lack of an absolutely precise, universally valid Christian definition of persecution actually ought to be seen as a virtue to be maintained rather than as a deficiency that ought to be corrected. The historical circumstances, dangers, intensity, and duration of any particular incident of persecution are always dependent upon the localized, personal experiences of those facing the coercion. Sometimes persecution is sporadic and regional; other times it is systematic and sustained on a national or imperial scale. Sometimes persecution can be linked with certain doctrines or religious symbols; other times it might coalesce around ethnic or socio-economic lines. Sometimes persecution is carried out through brutal mob violence (we remember what Paul endured on several occasions) and at other times it is insidiously methodical and bureaucratic (we think of the Christians under some recent Communist regimes). Trying to draw a precise definition of persecution is thus not only difficult but also counter-productive. Persecution is not universal, uniform, or simplistic; it is rather particular, amorphous, and complex. One strict definition, one list where one needs to “check all the boxes” in order to be called “persecution,” simply will not do. What is, and what is not, persecution will always be a matter of careful discernment for the church to prayerfully conduct in the specific times and locations to which God has called it. Discernment, though, is tricky business. Two extremes must be avoided. The first is to make our measure of persecution so extreme (i.e., you are persecuted only if you are a martyr), or the topic of persecution so politically incorrect, as to rule it out of existence or consideration. The other extreme is to elide the historic division between suffering as a Christian and being persecuted as a Christian. The danger here is that we end up calling all Christian suffering “persecution” and, in so doing, make the term into nothing more than a synonym. The Scriptures (not to mention the tradition of Lutheran theology itself) call us to distinguish between suffering and persecution. As Jeffrey Gibbs notes in his discussion of the final part of the Beatitudes in Matthew 5, “the dependent clause ‘whenever people insult you’ in 5:11 makes it clear that, unlike the first seven beatitudes (5:3‒9), the final two Beatitudes (5:10‒12) will not always apply to every disciple, nor will all experience such reproach in the same way. . . . It will not always be the case that all of Jesus’ disciples are persecuted at all times.” The church must reject both of these errors; the church is not always and everywhere persecuted but it has, does, and will face persecution. How are we to discern the difference, the way between these two dangerous extremes? The first, and foremost, thing for the church to understand about persecution is that its presence or absence is a fact that the church has to determine for itself. Christians, in other words, should never depend upon other people telling them that they are being persecuted. Related to this is the critical reality that the church must ground discussion and comprehension of persecution not primarily in any sociological or political account, but rather squarely and thoroughly in the Scriptural story—both in the discussion about and response to persecution. While the latter point will be addressed below, the former point must never slip from Christian’s minds: when persecution is discussed, or even claimed, the conversation should never be rooted in apprehension, surprise, fear, or panic. The New Testament repeatedly warns Christians that persecution is quite possible, while at the same time assuring Christians that there is nothing in persecution—not even death itself—that needs to be feared. As Jesus Christ says three times in his sending of the disciples in Matthew 10: “Do not be afraid.” Accordingly, Christians should view with alarm claims or warnings of persecution that have no consolation or promise of the gospel attached to them, for such a manner of speaking of persecution is foreign to the scriptural witness. Instead, when Christians speak of persecution with one another, they should be able to recognize both the dreadful reality of the persecution at hand while also acknowledging, joyfully, that there is nothing that shall separate them from the love of God that is in Christ Jesus, their Lord (Rom 8:35‒39). Another consideration to use in discernment is for the church to look across its experience throughout the world in this time. As Saint Paul reminds us, the church is the body of Christ and in our day God has arranged for the body of Christ to come into greater global awareness. Christians now have a much broader understanding of the worldwide character of those who confess Jesus Christ as Lord: they are indeed from every tribe, language, nation, and family of the earth. Attendant to this growing awareness has been an increased knowledge that many Christians in other parts of the world routinely experience oppression, threats, violent coercion, and death on account of their confession of Christ. This persecution is of deepest concern to the body of Christ, for “if one part suffers, every part suffers with it” (1 Cor 12:26). The church must understand the struggles and challenges in one place in light of suffering in another part of the world, for in so doing the church honors the body of Christ. In addition to looking across the world, the church can also look back through its pilgrimage on earth to discern persecution in the present day. This exercise can cut two ways. First, the church can question whether claims of persecution in a previous era were as sound or grounded as they were, or are, popularly imagined. For instance, it might be tempting to think that the early church faced violent persecution right up to the Edict of Milan in 313 AD, when, according to Eusebius, there were several Roman emperors before that time that did not persecute Christians. While the “blood of the martyrs is the seed of the church” that blood was not shed continuously. Similarly, Dean Zweck has recently taken a fresh look at the persecution that drove some German Lutherans to immigrate to Australia in the nineteenth century. While he notes that the persecution in Germany was real he also concludes that the telling of that history “needs to be nuanced.” Second, though, we are also able to look historically into the darkest days and times of Christian persecution—perhaps even finding that they were worse than we could have imagined. Both of these realities should invoke in us a strong sense of humility, a great sense of duty, and perhaps even a little trepidation, before we apply the word persecution to our contemporary experience. Finally, the Lutheran distinction of the two reigns of God (that is, that Christ reigns in the church through the gospel and in the world through law and reason) can be of great service to the church as it seeks to discern if, and where, persecution is occurring. Take, for example, the Catholic Archdiocese of New Jersey, which in 2013, began to sell gravestones and mausoleums to bereaved families who were burying their deceased in its cemetery. Soon, local sellers of headstones and mausoleums noticed a drop in their business, banded together, and got the government of New Jersey to pass new restrictions that forbade the Archdiocese (or any other religious cemetery, for that matter) from operating a funeral home or selling monuments, grave headers, or mausoleums. What can be made of this? Is it persecution or simply blatant economic protectionism? Certainly, it is the latter. To take things a step further, consider a proposal put forward by the religious scholar Stephen Prothero in a recent essay. After noting that the state of New York had added two days of Muslim observance to the public school holiday calendar, Prothero asks where this practice will end in a religiously diverse society. Why shouldn’t Hindu holidays also be added? After pressing his ad absurdum argument, he contends that, “these [religious] holidays cannot be endlessly multiplied without subtracting from the core mission of public schools.” As such, he counsels that the school calendar of public education institutions should be wiped clean of any religious holidays—whether Christian, Jewish, Muslim, or “other.” If this proposal were adopted would it be persecution? Here, admittedly, Christians would have more to “lose” than other faith communities but only because they have more holidays on the public calendar than others do. Such a rearrangement, as Prothero’s argument runs at least, would not be persecution but merely represent the loss of Christian predominance in determining the public school calendar. As these two examples help illustrate, the doctrine of the two reigns of God keeps us from confusing a loss of Christian influence in the political realm or upon a particular secular issue with being persecuted for the sake of the gospel of Jesus Christ. The reign of Christ through the gospel has little to do with the church’s business interests or with the arrangement of the secular calendar. The two reigns also help us notice the reverse situation, which is when governments are directly targeting Christians with violent coercion precisely because of their confession of Jesus Christ or their proclamation of his message. Of course, it must be recognized that sometimes the borders between the two reigns of God can be murky, and Christians will sometimes have different readings of the political situations that they are in. Yet such difficulties should not discount the importance that the teaching of the two reigns of God should have in the church’s discernment of persecution. Having laid out some guides for discernment, it is now possible to argue more fully that the Christian church in America should not publically claim persecution. It is perhaps beneficial to focus upon one story that might be used to argue for the church claiming persecution in the United States. One of the most well-known, ongoing, and widely covered is that of InterVarsity Christian Fellowship, an evangelical Christian college ministry. In 2000, Tufts University de-recognized InterVarsity because it required its student leaders to agree to a statement of faith and certain behavioral standards. Tufts created a policy that “all comers” to any campus organization and organization leadership posts had to be accepted. In 2010, the Supreme Court ruled in favor of the university’s policy. As long as the all-comers rule was evenly applied to every campus organization, it was legal and universities with an all-comers policy could de-recognize InterVarsity. InterVarsity has since been de-recognized by many other colleges and universities, most notably the California State University system (which is composed of twenty-three schools). Is this persecution? It is easy for many to say “yes” in this case. It seems rather clear that this group, and not others, was targeted specifically for its Christian beliefs. And yet, despite all this, InterVarsity does not claim persecution for itself. “We were marginalized, not persecuted,” one InterVarsity worker has stated. The unwillingness on the part of InterVarsity to claim persecution ought to be instructive for the Christian church at large in the United States. Certainly, there are instances of persecution of Christians in the United States, and the church has, is, and will face obstacles, challenges, and even hostility. However, the Christian church in the United States has traditionally discerned, and should continue to, that these instances of hostility and persecution are not normative for the entire experience of American Christians and therefore claims of general persecution should not be made. The church in the American “public square” should not claim public persecution for several reasons. First, most warnings and claims of the church in the United States are either politically oriented or lack scriptural consolation. In other words, they mostly appear to be fear mongering in tone and design. As such, they perhaps point more to the political captivity of the church than they do to the actual state of the bride of Christ. Second, as the church in America looks to the historical pilgrimage of the people of God, Christians in the United State must honestly admit their prosperous, even privileged, position. Christians in America have built some of the most extensive church organizations (denominations and parachurch organizations) and infrastructures (church complexes and church buildings, schools, colleges, seminaries, retirement homes, nursing homes, retreat camps, radio networks, and more) that Christian history has ever witnessed. The church in the United States continues to have tax-exempt status and receive various other forms of preferable treatment (as do other religious groups in America) from local, state, and federal government. Furthermore, the government of the United State has rarely, if ever, tried to directly and unabashedly interfere or oppose the proclamation of the gospel of Jesus Christ or otherwise regulate the preaching and teaching of the Christian church. Such a position would have been unimaginable to the early Christians. Finally, the tendency to think one is being persecuted can often lead to a soft or hard “confirmation bias” in which a “narrative of persecution” is developed that begins to see every decision and every political move as another instance of Christians being persecuted. In short, in claiming persecution the church is always in danger of becoming consumed with the idea of persecution rather than proclaiming the Lord Jesus Christ until he comes again. An obsession with persecution likely is, or at the very least can become, idolatrous. This is a reality that the church has long recognized and sought to combat; it would be foolish for us to not similarly be aware of, and vigilantly guard against, this temptation. Rather than being persecuted, Christianity in the United States is losing the rather absolute predominance that it once held in America. Although the sources of this loss are complex, at least two can be briefly explored here: change in America and the political captivity of the American church. First, America continues to change, as it always has (and always will). Specifically, the number of Americans reporting no religious affiliation continues to climb while the number of Christians, though still a majority, is shrinking. In order to understand the effect that these religious shifts are having on the American public the analysis of Philip Gorski is helpful. Gorski contends that the American constitution “establishes two opposing principles—religious freedom and civic inclusion—that must be continually rebalanced.” Each time America has gone through a major cultural or religious shift, it has sought to rebalance the relationship between these two competing aims. Thus, the “wall of separation” between church and state “is higher in some places, lower in others; it is well defended at certain spots but virtually unmanned in others; and it is really more serpentine than straight. As a result, the boundaries between the two great estates [church and state] are not always clear-cut. There are zones of loud contestation marked by red lines, settled boundaries that are rarely frequented, and also points of quiet cooperation.” If Gorski’s analysis is correct, then the United States is in the midst of a rebalancing between religious liberty and civil inclusion. In this shift, Christians occupy less space (i.e., there are fewer of them) than they once did. As a result, Christians and the Christian church might lose some of the political accommodations that previously accompanied their dominance. On this note we could return to the case of InterVarsity. Clearly, the all-comers policy that several universities are enacting favors the principle of “civic inclusion” over the “religious freedom” principle. The wall of separation is being adjusted and as a result InterVarsity lost some of the accommodations that it had previously enjoyed. However, even this re-adjustment did not stop InterVarsity from being able to be present and operate at the various universities that de-recognized it. It has made their work more costly, both organizationally and personally, but not impossible. InterVarsity continues its mission. To return to Gorski’s account, even though “civil inclusion” expanded its domain, it did not entirely eliminate “religious freedom.” It is interesting, also, that the one of the largest concerns that Christian institutions have expressed in light of the Obergefell v. Hodges ruling is that they might lose their tax-exempt status. This may indeed one day be the case, and the loss of preferable tax arrangements might be a very difficult thing for some Christian institutions to endure. Yet, it remains highly unlikely, even rather inconceivable, that Christians in the United States will lose everything. As Neuhaus observed long ago, “even if, as some fear, we were by domestic madness or external forces to succumb to a form of totalitarianism, it would likely be marked by a measure of tolerance for the expression of religion.” Despite the changing public square, it is important to recognize that America remains a very religious country that will likely continue to deeply value religious freedom for a long time to come. The second phenomenon leading to a loss of Christian predominance is the political captivity of the American church. Stanley Hauerwas expresses the problem this way: “I believe that we are in a mess because as Christians in America we are more American than Christian.” In other words, in our pluralistic age partisan political thinking and American national/cultural identity have more pervasive and persuasive formative power than does religion in general, or Christianity in particular. As Robert Putnam found in his study of religion in America, “When religion and politics were initially inconsistent [in those studied], religious commitment, not political commitment, was more likely to change.” As Putnam memorably exposed in his visit to Concordia Seminary’s Theological Symposium in 2007, this tendency occurs not just in political opinion, but even appears in the area of doctrinal belief. William Cavanaugh calls this a “migration of the holy” since “the kinds of public devotion formerly associated with Christianity in the West never did go away, but largely migrated to a new realm defined by the nation state.” This phenomenon further helps us to understand the loss of Christians’ predominance in America: a Christian ethic and public witness is by no means guaranteed even among those who identify as “Christian.” If this truly is the case, it should not surprise us if the Christian church continues to find itself in a less predominant position and if, as a result of this, it loses some of the accommodations and privileges that were once attendant to its more dominant position. Perhaps if anything, the church in the United States should be thankful that even in the face of the decline of its power in the public arena, the church has experienced very little direct challenge to the continued proclamation of gospel in our society at large: the message of Christ continues to be proclaimed daily through innumerable mediums and messengers. This should neither be taken for granted nor assumed to be the “normal” condition in which most of followers of Christ have, or ever will, live. Of course, one could always contend that this could all change tomorrow, just as it did for Luther and the Reformers. Indeed, it could; the Scriptures give no promise of worldly stability. What if persecution were to swiftly befall the Christian church in America all at once? Would the work of the Holy Spirit cease? Would the body of Christ fail? Would the purposes of God be thwarted? “No” is the only answer that the scriptural witness knows to these question. But forgive your enemies and pray for them and do good to them, that is the true Christian’s virtue. . . . Accordingly, I beg you and exhort you, my dear brothers and friends, to do as Christ did and leave this disturbing matter, which rightly pains and grieves you so, to him who is the just Judge, as St. Peter teaches us. Take care that you do not become hostile to anyone because of it, or engender hatred or spread evil gossip, or curse and desire revenge. You would do wrong to be so hard hearted as not to be stirred by this murder, or if you acceded to it and did not wholeheartedly condemn it. It would be equally wrong to curse the murderers, desire revenge, or nurse hostility rather than pray for them . . . we are to have mercy on these persons and, so long as there is hope that they may come to know and to better themselves, pray that God may mercifully enable them to repent of their murder and evil. We would not be helped by their condemnation but would greatly rejoice if they would be saved through our prayers and kindness. When persecution does come upon Christians, it is not a call to hatred, vindictiveness, revenge, malice, pettiness, or victimhood. Instead, it is yet another opportunity to call upon the Lord in every circumstance. This article has argued that rather than claiming or warning of imminent and impending persecution, it is more accurate and helpful to understand that the church is losing predominance in the United States and, as a result of this, that Christians in America may face more challenges in the public square than they have been accustomed to in the past. Within a prayerful, ongoing process of discernment the church (wherever and whenever it may be) must listen carefully, look both across and throughout the body of Christ, and use the two reigns of God to help recognize the presence or absence of persecution. Implicit in this argument is an acknowledgement that the current political and cultural environment that Christians in America find themselves is not, by a long shot, the most challenging, threatening, or dangerous circumstance in which the church has sought to proclaim Jesus Christ as Lord. This reality could change one day. Yet even if it does, even if the worst worries of some come true, there is still nothing to fear—for the church has the promises of Christ. Luther’s Works eds. Jaroslav Pelikan and Helmut T. Lehmann, 56 vols. American Edition (St. Louis and Philadelphia: Concordia Publishing House and Fortress Press, 1958‒1986), 10:353. Ibid. : “For now peace attacks more than the sword did formerly, clothing more than nakedness, food more than hunger, security more than difficulty, abundance more than poverty, and the opposite of everything the apostle lists in Romans 8:35 . . . Therefore, as the apostles applied the psalms to their own time against the Jews, their enemies, the martyrs to their own time against the persecutors, the teachers to their own time against the heretics (as blessed Augustine does nearly everywhere), so we, too, must now pray and apply them against the half-Christians and those who serve the Lord only in a carnal and formal way. Especially should we pray for the princes and priests of the church, where this evil is particularly prevalent. This does not mean that we must rage and be indignant against them, blaspheme and disparage them, since this would have no constructive result. But we must grieve and have compassion and commiserate with the church and pray with and for them” (italics added). LW 43:62. The resistance, and outright persecution, that the evangelical cause encountered caused Luther and others too look back upon the travails of Jan Hus and other Christian martyrs for inspiration and consolation. See Robert Kolb, “‘Saint John Hus’ and ‘Jerome Savonarola, Confessor of God’: The Lutheran ‘Canonization’ of Late Medieval Martyrs,” Concordia Journal 17 (1991): 404‒418. Susan Stabile has identified some of the conflicts that have contributed to the increased discussion of persecution in the United States among Christians over recent years. See Susan J. Stabile, “What is Religious ‘Persecution’ in a Pluralist Society?” Villanova Law Review 59 (2014): 753‒770. See the movie Persecuted, directed by Daniel Lusko, (2014, Millennium Entertainment). Perhaps the most well-known book on the topic is David Limbaugh, Persecution: How Liberals Are Waging War Against Christianity (New York: Harper Perennial, 2004). See also Stabile, 753. For instance, in 2014 Dr. Jim Garlow declared that evangelical Christians in America are experiencing “full-blown persecution like we have not seen previously in America. . . . The kind of persecution we find in the rest of the world, we are now experiencing here.” See the podcasts: http://www.wallbuilderslive.com/listen.asp?cs=high&mf=mp3&fileName=WBLive2014-01-06. Richard John Neuhaus, The Naked Public Square (Grand Rapids: Eerdmans, 1984), 99. The pace of societal change has even surprised social liberals. See, for instance, “Marriage Equality in America: So far, so fast” The Economist, October 11, 2014, http://www.economist.com/news/briefing/21623671-week-americas-supreme-court-dealt-supporters-gay-marriage-great-victory-we-look. Neuhaus, 129. Persecution, and especially martyrdom, often brings great clarity to the church; our contemporary situation, it will be argued, is more opaque. “The Son of God Goes Forth to War” (see the Lutheran Service Book, hymn 661). Damnatio ad bestias (condemnation to the beasts) was a common form of Roman punishment that was particularly popular with the crowds. See Boris A. Paschke, “The Roman ad bestias Execution as a Possible Historical Background for 1 Peter 5:8,” Journal for the Study of the New Testament 28 no. 4 (2006): 489‒500. Paschke’s argument is adopted and strengthened by David G. Horrell, Bradley Arnold, and Travis B. Williams, “Visuality, Vivid Description, and the Message of 1 Peter: The Significance of the Roaring Lion (1 Peter 5:8),” Journal of Biblical Literature 132 no. 3 (2013): 697–716. Undoubtedly, there are Christians in the United States who have, do, and will suffer coercive pressure or violence precisely because they are following Christ in their particular vocations. This is also the case with many legal, philosophical, and political documents that discuss the topic of persecution. See Jaakko Kuoanen, “What’s So Special about Persecution?” Ethical Theory and Moral Practice 17 (2014): 129‒140. Kuoanen arrives at the following definition of persecution: “an asymmetrical and systemic threat of severe and sustained harm that is inflicted discriminatorily and unjustly” (ibid., 138). Robert Kolb and Timothy Wengert, eds., The Book of Concord: The Confessions of the Evangelical Lutheran Church, (Minneapolis: Fortress Press, 2000), 515‒516. See Irene Dingel, “The Culture of Conflict in the Controversies Leading to the Formula of Concord (1548‒1580),” Lutheran Ecclesiastical Culture, 1550‒1675, Robert Kolb ed. (Boston: Brill, 2008), 18‒22 and 34‒39. In 2010 a group of Evangelical scholars released Bad Urach Statement: Towards an evangelical theology of suffering, persecution, and martyrdom for the global church in mission (available online: http://www.iirf.eu/fileadmin/user_upload/PDFs/Bad_Urach_Statement.pdf) in which a definition and theology of persecution is developed. This statement, though, has not received much attention in the church at large. “We know of no persecution by the Roman Government until 64 [AD], and there was no general persecution until Decius. Between 64 and 250 there were only isolated, local persecutions; and even if the total number of victims was quite considerable (as I think it probably was), most individual outbreaks must usually have been quite brief. Even the general persecution of Decius lasted little more than a year, and the second general persecution, that of Valerian in 257‒9, less than three years. The third and last general persecution, by Diocletian and his colleagues from 303 onwards (the so-called ‘Great Persecution’), continued for only about two years in the West, although it went on a good deal longer in the East. In the intervals between these general persecutions . . . Christians enjoyed something like complete peace over most of the empire and in addition the capacity of the Christian churches to own property was recognized, at least under some emperors.” G. E. M. De Ste Croix, Christian Persecution, Martyrdom, and Orthodoxy, ed. Michael Whitby and Joseph Streeter (New York: Oxford University Press, 2006), 106‒107 (emphasis added). The controversy surrounding FC X demonstrates this well. One party, Philip Melanchthon and his followers, “believed that secular authorities had a right to play a role in the externals of church life” (Dingel, 38). For them, then, the imposition of certain rites was not persecution, but rather the rightful exercise of the authorities’ power. For Matius Flacius and his followers, on the other hand, secular authorities did not have such a right and, therefore, the church was indisputably in a state of persecution. See Dingel, 38‒39. See Candida Moss, The Myth of Christian Persecution, (New York: Harper One, 2013) and James A. Kelhoffer, “Withstanding Persecution as a Corroboration of Legitimacy in the New Testament: Reflections on the Resulting Ethical and Hermeneutical Quandary,” Dialog: A Journal of Theology 50 no. 2 (Summer 2011): 120‒132. “Are Christians in America persecuted? The short answer is ‘Yes, all the time’. . . Persecution is the normal experience of every Christian everywhere.” Kevin DeYoung, “Are Christians in America Persecuted?” The Gospel Coalition, April 15, 2014, http://www.thegospelcoalition.org/blogs/kevindeyoung/2014/04/15/are-christians-in-america-persecuted/. When Luther discusses “bearing the sacred cross” as a mark of the church, he makes suffering and persecution distinct categories that fall under the theology of the cross (LW 41:164). Jeffrey Gibbs, Matthew 1:1‒11:1, Concordia Commentary (St. Louis: CPH, 2006), 253‒254. In fact, when this does occur the church should be deeply wary of being co-opted by any particular political party or specific ideological narrative. As R. R. Reno recently remarked, “Sadly, our faith is often manipulated, perverted, and betrayed for the sake of worldly ambitions. In those instances, brotherly love requires strong criticism.” R. R. Reno, “Letters,” First Things (August/September 2015): 10. As Greensburg notes, many early church fathers taught that “martyrdom is not to be sought out; neither is it to be feared.” L. A. Greenberg, “My Share of God’s Reward”: Exploring the Roles and Formulations of the Afterlife in Early Christian Martyrdom (Oxford: Peter Lang, 2009), 119. See: “Religious Hostilities Reach Six-Year High” PEW Research Center, January 14, 2014, http://www.pewforum.org/2014/01/14/religious-hostilities-reach-six-year-high/. Toward the later part of the third century Christians could be found at very high levels in Roman society. See William Tabbernee, “Eusebius’s ‘Theology of Persecution’: As Seen in the Various Editions of his Church History,” Journal of Early Christian Studies 5 no. 3 (1997): 319‒334. See also emphasis added in endnote xvi. The Bad Urach Statement rightly cautions the church against using this oft-cited quotation of Tertullian in a formulaic or overly-triumphalist manner: “The ‘fruit’ of martyrdom remains a grace from God (Jn 12:24). We must therefore avoid a triumphalistic use of the popular saying of church father Tertullian from North Africa that “the blood of the martyrs is the seed for new Christians” (p. 23). On a similar vein, it is important to remember that just because the church sometimes thrives in times of persecution does not mean that it will automatically thrive whenever it faces persecution. He continues: “The reality is that the king was no ogre, no Hitler, and the Lutherans who stayed in Prussia ended up gaining the concessions they needed to stay truly Lutheran. The reality is that Kavel and the Old-Lutherans were uncharitable in designating the Reformed church and the union as ‘heathen,’ they were stubborn in spurning the king’s attempts to grant them concessions and meet their objections, they were unorthodox in insisting that there is only one form of church government that is scriptural, and they were unjustified in regarding themselves as the only true Lutheran church.” Rev. Dr. Dean Zweck, “Suffering and Persecution as a Mark of the Church: A Perspective from Australia,” Lutheran Theological Journal 47 no. 3 (December 2013): 166‒167. “A Grave Business,” The Economist, July 25, 2015, http://www.economist.com/news/united-states/21659737-tussle-over-headstones-new-jersey-may-end-up-supreme-court-grave-business. The Archdiocese is now suing to overturn the law. See James Barron, “Archdiocese Disputes Ban on It Selling Headstones,” New York Times, July 20, 2015, http://www.nytimes.com/2015/07/21/nyregion/archdiocese-disputes-ban-on-it-selling-headstones.html?_r=0. The disruption of the Archdiocese’s gravestone business is not the same thing as the upending of the silversmiths guild in the city of Ephesus in Acts 19. Stephen Prothero, “When Every Day is a Religious Holiday: In the name of ‘inclusivity,’ the school year is becoming off-limits to teaching. How about zero holidays?” Wall Street Journal, March 9, 2015, http://www.wsj.com/articles/stephen-prothero-when-every-day-is-a-religious-holiday-1425943088. Or, for that matter, with the so-called blue laws that mainly restrict the commerce of certain businesses on Sundays that are common in many states and counties. David French, “Ready Always to Give an Answer: Campus Christians flourish amid adversity” National Review (September 7, 2015): 32‒34. Hypothetically, under this policy a socialist could lead the campus Republicans and an avid hunter the PETA campus chapter. For a critique of the court’s ruling, see Harvey A. Silverman, “A Campus Crusade against the Constitution: Limiting First Amendment rights for Christians undercuts rights for everyone else.” Wall Street Journal, September 18, 2014, http://www.wsj.com/articles/harvey-a-silverglate-a-campus-crusade-against-the-constitution-1411081302. On this problem, see James Davidson Hunter, To Change the World: The Irony, Tragedy, & Possibility of Christianity in the Late Modern World (New York: Oxford University Press, 2010), esp. essay II, chap. 6. “In societies such as ours, which place no formal liabilities upon being Christian, the contriving of persecution can only trivialize the very real persecution of Christians elsewhere.” Neuhaus, 129. Even some opponents of the church in the United State recognize the extreme suffering of Christians in other parts of the world and are unimpressed by any American Christian claim to persecution. See Robert Boston, “Persecution Complex,” Church & State (March 2014): 13‒16. Luther was insistent that “Christians must resist being preoccupied with the affliction itself because it renders no sense of its transitory nature. According to Jesus’s words in John 16:16‒22, and 16:33 affliction will last but ‘a little while.’ Luther commented on verses 20‒22 of this text as follows. ‘Sadness will not last forever; it will turn into joy.’” John C. Clark, “Martin Luther’s View of Cross-Bearing,” Bibliotheca Sacra 163 (July-September 2006): 343. There is evidence that the early church struggled with what to do about the enthusiasm of many Christians for martyrdom. This can be seen in the different recensions of the Martyrdom of Carpus and Papylus. In the Greek recension, a woman named Agathonice sees two Christian martyrs being burned to death, has a vision, and then jumps upon the flames herself. In the Latin version of the Acta Agathonice does not throw herself upon the fire voluntarily but is brought before the proconsul and ordered to sacrifice to the emperor; after refusing, she is burned to death. See Herbert Musurillo, The Acts of the Christian Martyrs, (Oxford: Clarendon Press, 1972), 27‒36. The tension between seeking out martyrdom and unsolicited persecution/martyrdom is also evident in the writings of several early church fathers. As Bowersock notes, the rush toward a voluntary martyrdom “became so alarming that they [the church fathers] gradually developed a sharp discrimination between solicited martyrdom and the more traditional kind that came as a result of persecution. Clement of Alexandria, Origen, Cyprian, and Lactantius, all great spokesman of the early church, attempted to stop this enthusiasm and reserve the ranks of the martyrs for those who endured suffering and death in the face of persecution.” G. W. Bowersock, Martyrdom and Rome, (Cambridge: Cambridge University Press, 1995), 4. While the language used by InterVarsity is appropriate for their circumstance, calling the Christian church in America “marginalized” is not (yet) an accurate description. Although Christianity is losing some of its influence, the United States remains a deeply religious country and the Christian church retains deep political influence in America (especially when compared to the position of the church in other Western nations and our closet neighbor, Canada). See Anna Grzymala-Busse, Nations Under God: How Churches use Moral Authority to Influence Policy, (Princeton: Princeton University Press, 2015), esp. chap. 5. See Robert D. Putnam and David E. Campbell, American Grace: How Religion Divides and Unites US, (New York: Simon &Schuster, 2010), chap. 1. See also “‘Nones’ on the Rise,” PEW Research Center, Oct. 9, 2012, http://www.pewforum.org/2012/10/09/nones-on-the-rise/; and Michael Lipka, “A Closer Look at America’s Rapidly Growing Religious ‘Nones,’” PEW Research Center, May 13, 2015, http://www.pewresearch.org/fact-tank/2015/05/13/a-closer-look-at-americas-rapidly-growing-religious-nones/. Philip Gorski, “Religious Pluralism and Democratic Inclusion: The American Recipe for Peace,” Society 51 (2014): 623‒635. To use Gorski’s analogy, the “serpentine” wall between church and state might be raised higher in some places, built up in new places, and relocated in others. The case of a Kentucky county clerk who refused to issue marriage licenses since the Obergefell v. Hodges ruling is illuminated very well by Gorski’s analysis. The value of civil inclusion is being championed by the court system as it refuses Kim Davis’s legal petitions to not issue marriage licenses because of her religious conviction. Since this case is ongoing, it is difficult to analyze adequately. Yet it is interesting to note that even Neuhaus, who openly advocated participation in the “public square,” recognized that “The sectarian option, seriously pursued, is one honorable alternative to the politics of compromise. . . . As strange as it may seem, it may happen at times that the church is most influential when it is indifferent to exercising influence.” Neuhaus, 119. “Since InterVarsity is no longer recognized by California State as an official student organization, the group no longer receives as high of a discount on renting rooms for weekly meetings and other regular events as it would if it were still recognized. At Sonoma State, for example, costs may reach up to $30,000 for the year, according to InterVarsity area director Jenny Klouse.” Mertz. See also French. Laurie Goodstein and Adam Lipak, “Schools Fear Gay Marriage Ruling Could End Tax Exemptions,” New York Times, June 24, 2015, http://www.nytimes.com/2015/06/25/us/schools-fear-impact-of-gay-marriage-ruling-on-tax-status.html?_r=1. Neuhaus, 129. Putnam’s study also supports this contention: “By a wide margin, Americans see the value in religious diversity for its own sake” (520). Gorski, however, is more ambivalent: “Whether the rebalancing act that is currently underway will ultimately succeed is an open question” (624). Stanley Hauerwas, A Cross Shattered Church: Reclaiming the Theological Heart of Preaching (Brazos Press, 2009), 137. William Cavanaugh, Migrations of the Holy (Grand Rapids: Eerdmans), 2. See Nik Ripkin, “The Perplexities of Persecution Require a Very Different Kind of Prayer,” USA Today (March 2014): 52‒53. LW 43:64. See also note 2, emphasis added. In his discussion of the case, Luther uses the two-reigns distinction to note that George “was not just murdered in service and obedience to secular authority, but also for the sake of the gospel, most of all because he wanted to teach and administer communion in both kinds.” LW 43:149. Justin Brierley: Does Christianity have anything to fear from a sort of secularization/atheism? Rowan Williams: Christianity has, I think, first of all, nothing to fear. I do take that absolutely seriously. It is a fundamental biblical principle. One of the first things that Jesus says to the apostles is “Don’t be afraid.” So let’s not cast it in terms of what Christianity has to fear. We have the promises of God. It’s as basic as that…. And what’s the future? Can we be confident that the church will be respected, influential, taken seriously? Well, no actually. There is no guarantee of that in the Bible or anywhere else. So let’s not imagine that the welfare, the wellbeing, the advance of the kingdom of God is bound up with our being popular or influential. Sometimes it is, sometimes it isn’t. It comes and goes, historically. See “In Conversation with Rowan Williams,” Premier Christian Radio, March 19, 2013, http://www.premierchristianradio.com/Shows/Saturday/Unbelievable/Episodes/In-Conversation-with-Rowan-Williams.